CORAL: South China Sea (red carving ~4 inch tall). Photo © Joel E. Arem, PhD, FGA. Used with permission. Coral is the external skeleton of a tiny, plantlike animal called the coral polyp. It lives in warm oceans in all tropical areas of the world. Although these creatures are only one millimeter in length, they grow as a colony on top of each other for generations. The resulting structures can be quite massive. Coral growths come in many shapes. The coral commonly used to make gems is branched and treelike. The largest sections of a coral’s trunk are used for carvings. 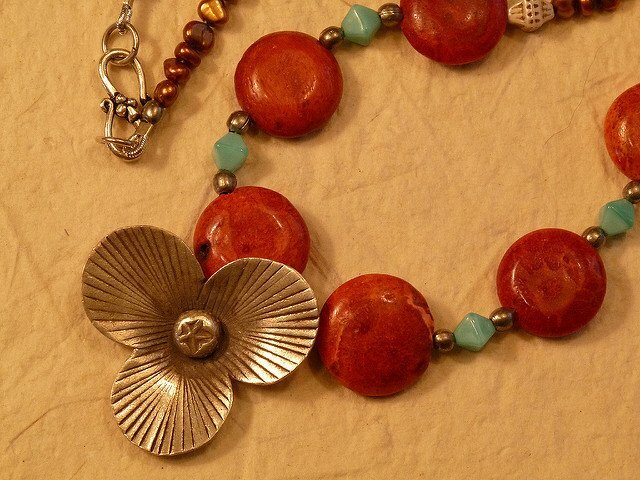 Most coral is cut into cabochons or made into a variety of shapes for use in necklaces. Coral values are based on hue, saturation, size, cut, and polish. Top values for calcareous coral go to red, pink, and orange pieces. Other colors are graded separately. Highest values for conchiolin coral go to black, then brown. 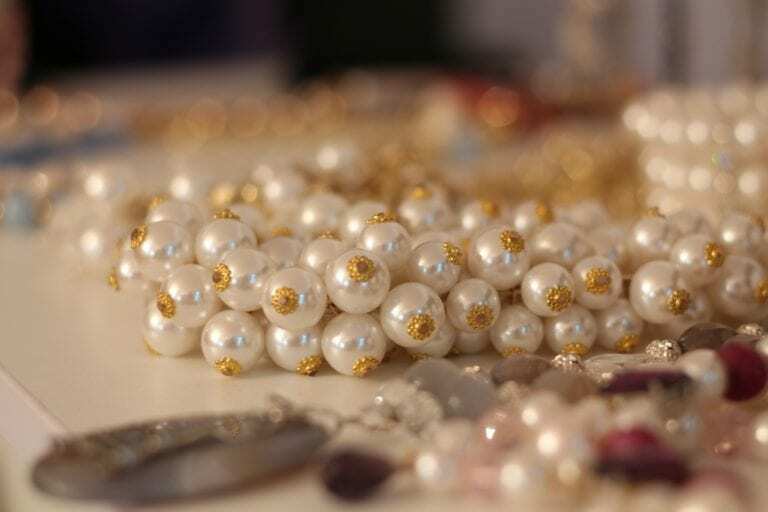 Gold color has additional value, especially if it shows a sheen. 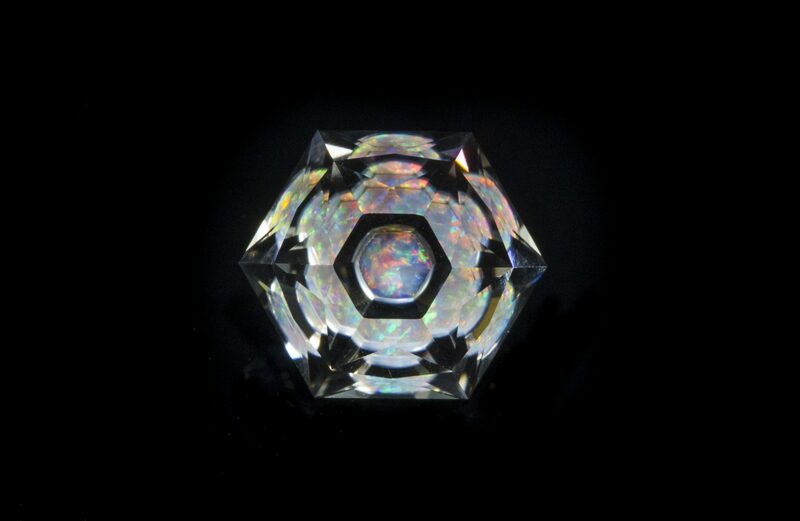 When polished, the color may shimmer through a transparent layer. Coral carvings can be quite valuable. The determining factors are the size and color of the piece as well as the skill of the artist. Colors White, pink, pale to deep rose red, salmon pink, red to dark red, blue (rarely), black. May be banded or zoned and show a cellular structure. Refractive Index Calcite coral, 1.69 and 1.49, not usually measurable. Conchiolin (black coral) has RI of 1.56. Specific Gravity 2.6-2.7. Note: Black coral, composed of conchiolin, is 1.34. Luminescence Pale violet or dull purplish red. Enhancements Bleaching, dyeing, infusion/impregnation, surface coating. 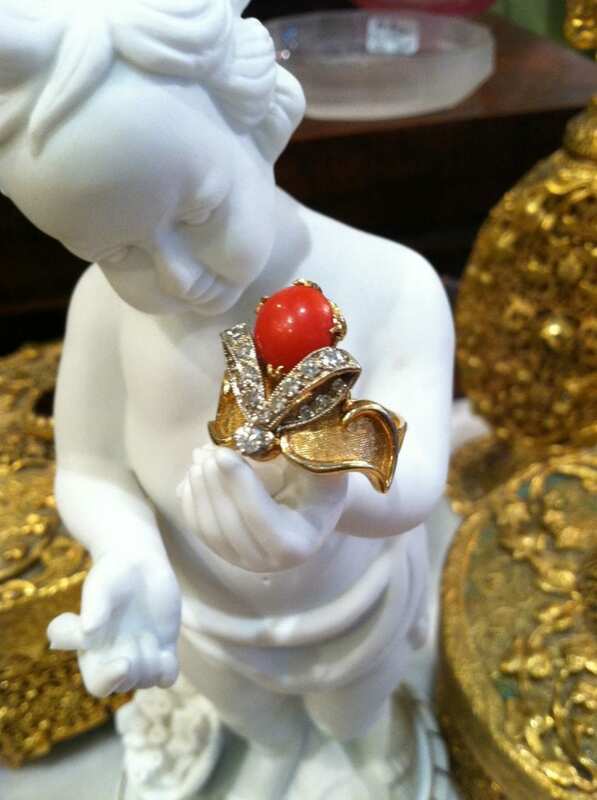 The gem use of coral began before recorded history. The ancient Greeks, Romans, and Native Americans used red, pink, and white corals extensively. Deep red, bright pink, and clear white corals were highly prized. Inland cultures far from the sources of coral would trade for these resources. 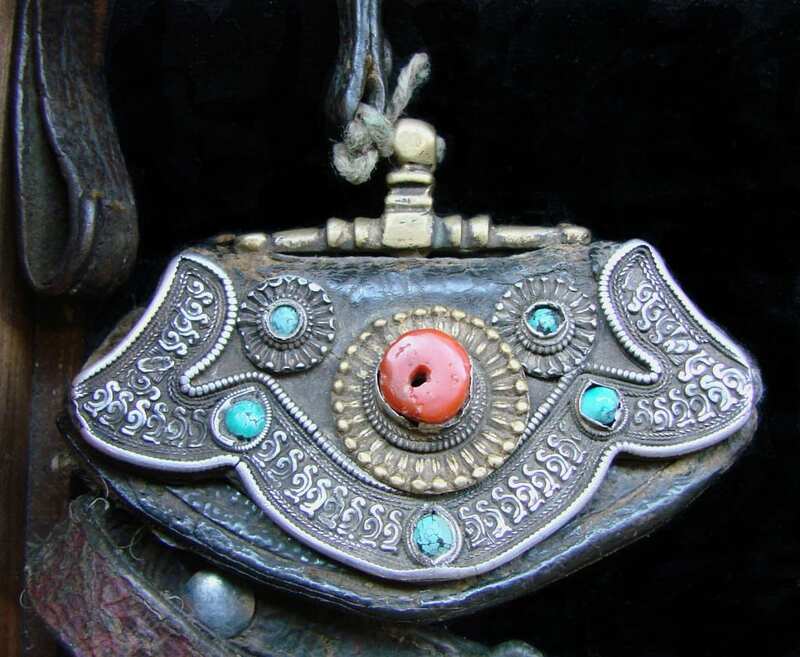 “Object from Tibet 2,” tobacco pouch made from leather, silver, bronze, coral, and turquoises, by Vassil. Public Domain. 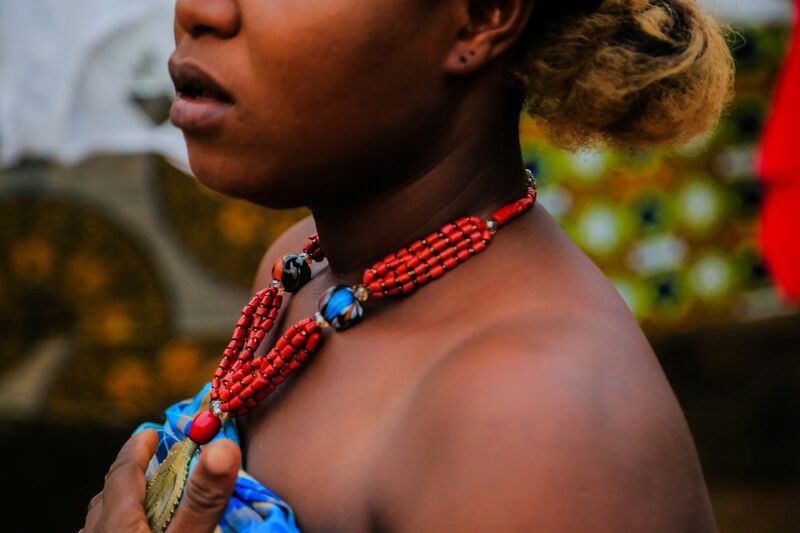 Although black and gold coral are relative newcomers to northern cultures, they have long been used as gem material in their native territories. They are found primarily off the coasts of Hawaii and Cameroon. Akori corals from Cameroon were highly prized before the eighteenth century. Hawaiian gold coral is the rarest gem coral variety and harder than other varieties. It was first described scientifically in the 1970s. 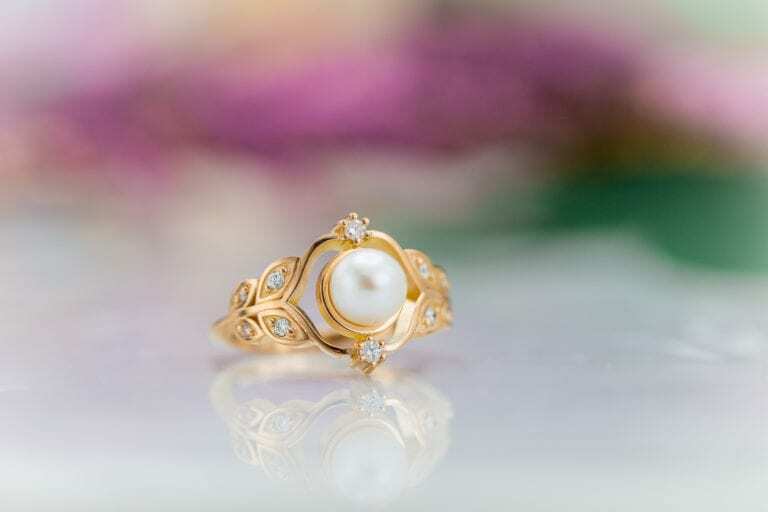 The harvesting of this gem material, however, is currently restricted and cost prohibitive due to environmental considerations. From the Georgian through the early Victorian Era, corals were very popular jewelry stones. The best red corals come from the Mediterranean. Most of the Mediterranean material is worked in Italy, but much is also sent to Hong Kong for cutting. Conversely, Italy is also a major buyer of Taiwanese material. Large quantities of white, pink, mottled, and oxblood corals from the South China Sea are cut in China and Taiwan. Although coral reefs are more commonly found in tropical areas, they can occur in colder, deeper water, such as those found to the west of Ireland. Corals are becoming rare. Their harvest is restricted in most parts of the world. 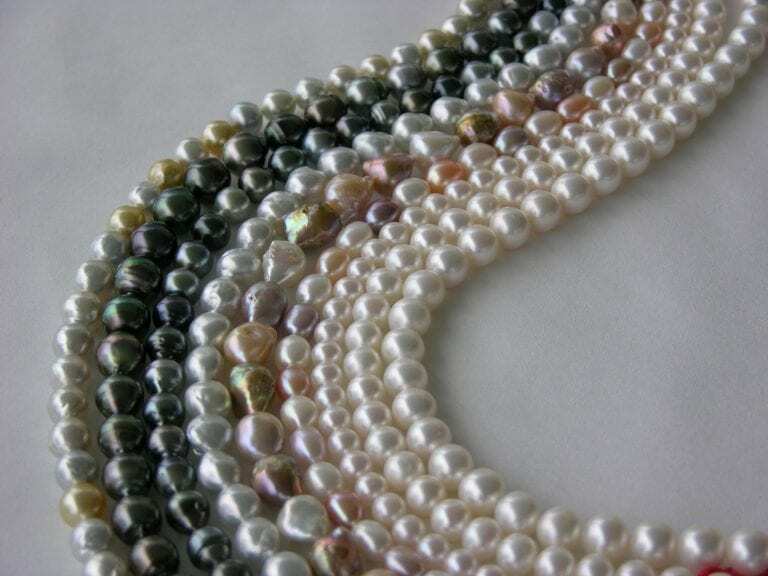 Be aware that any raw material you are offered could be illegal to possess. There are two types of coral. Calcareous corals are composed primarily of calcite and come in whites, reds, and pinks. Conchiolin corals are composed of conchiolin, the same substance found in pearls and other shells. They come in black, brown, and gold colors. The conchiolin type is tougher and less brittle than the calcareous type. A close relative of conchiolin corals is the rare blue coral. The hues are very nice, but the saturation is low, so these pieces tend towards gray shades. Calcareous: wavy, fibrous structure, cavities from polyps, high spot birefringence. Conchiolin: concentric, circular growth pattern (“tree rings”), white crescents in cross sections of branches. In the 1970s, Pierre Gilson developed “created corals” to help protect the natural variety from destructive harvesting. This imitation red and pink coral has a specific gravity (SG) of 2.44. This is always lower than natural red and pink material. 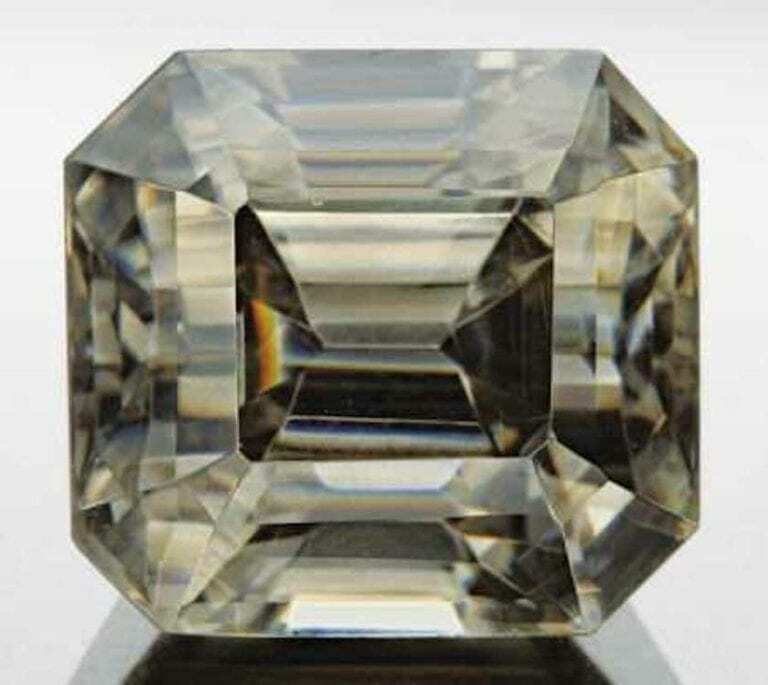 This synthetic has weak birefringence and lacks natural structure. 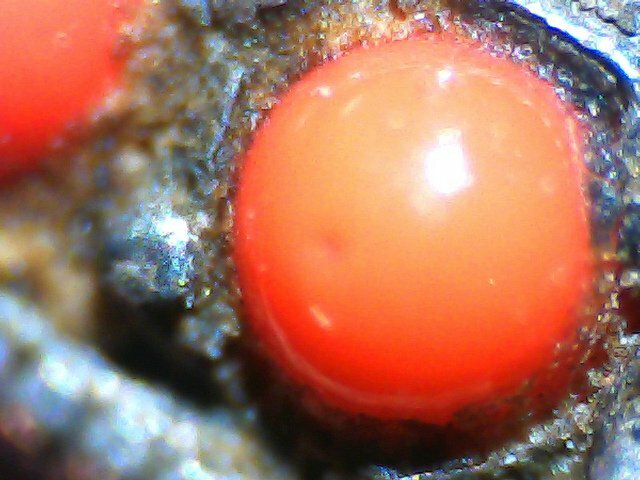 Under high magnification, you can see a fine granular texture. Plastic imitations can be identified through hot point testing or acid testing. These procedures should only be done by a professional. 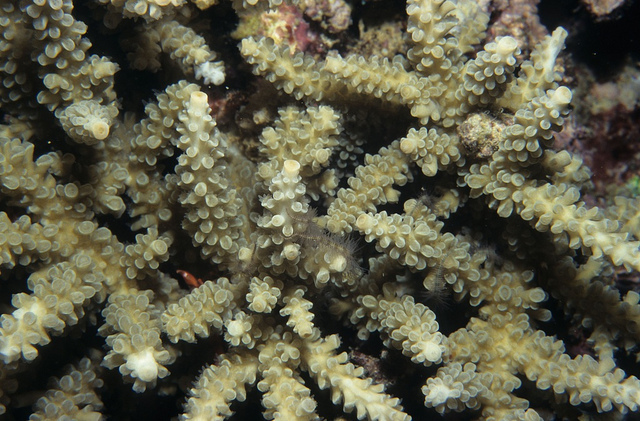 Dyeing and bleaching are common treatments for coral. 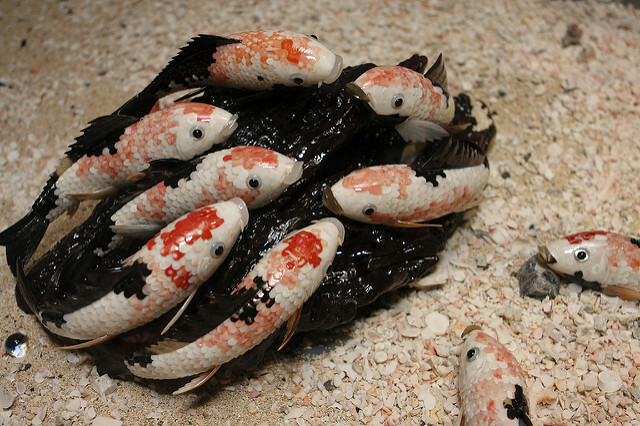 Dyeing is used to improve or even changing color. The new color may fade. This process can be identified by magnification or a solvent test. The addition of dyes may produce phosphorescence. 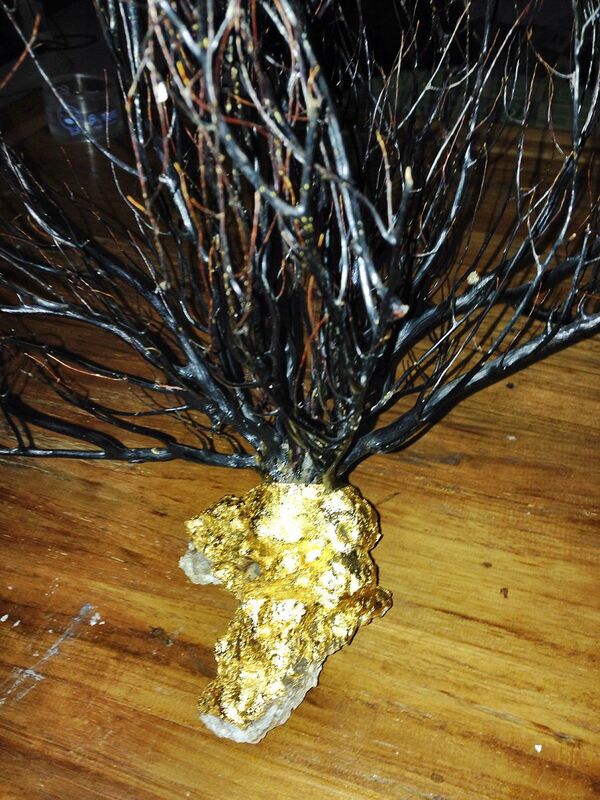 Bleaching produces gold coral from black. This is a stable treatment. This process can be identified by magnification (which reveals a different texture) and lower SG and refractive index values. Throughout the Mediterranean and Red Sea areas. Branches may be several inches to several feet long but aren’t always thick. Corals are sensitive to heat and should be cleaned only with a damp cloth and dried carefully. Mechanical cleaning methods, such as ultrasonic, are not recommended. 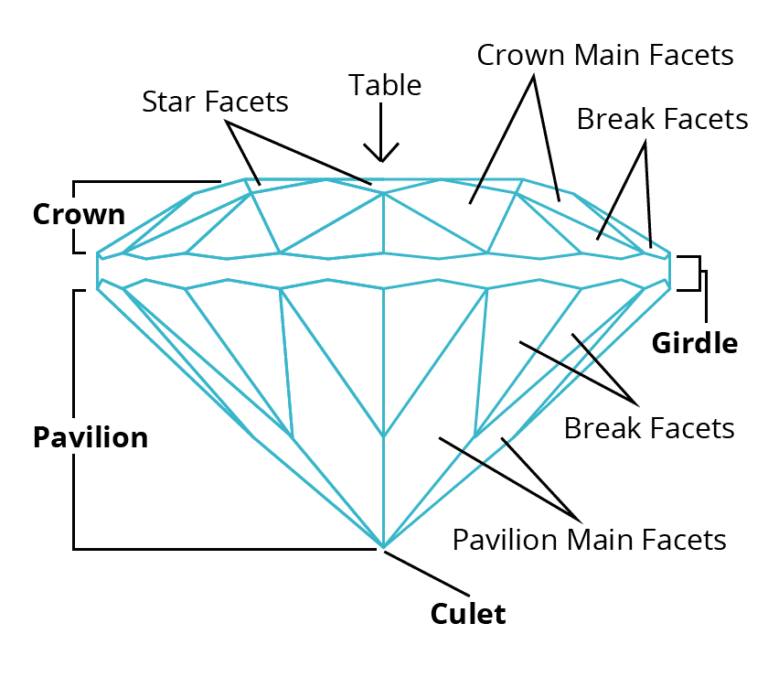 Consult our jewelry cleaning guide for more information on cleaning jewelry pieces with sensitive gems.